20 M/TS 2000 S i 2300 S – end of prod. In 1968 Ghia took total control of the company and the production of cars ceased. 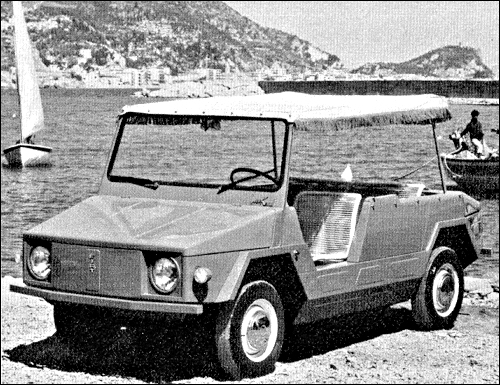 Autobianchi G31 Coupè, Turin 1968, Entwurf Centro Stile, Prototype. OSI builds the Weekend since the summer of 1967. It is based on the Fiat 850. You can get the car either with basket seats and sun shade or with normal SUV structure.